2) Do vacuum and sweep frequently! Dirt, grit, gravel, salt, etc. are abrasive, just like the grit on a piece of sandpaper. Your weight on top of those particles will grind into the finish just as effectively as any floor sander, so clean any dirt and grit off the floor as often as possible. 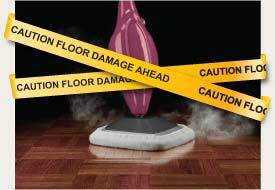 Be sure and use a vacuum without a beater bar, as this can damage the finish on the hardwood floor. We recommend a canister vacuum with a very soft bristle wand head. 3) Use rugs or mats, especially at exterior doors, to help trap sand and grit that arrives with incoming traffic, while area rugs in high traffic areas can prolong the life of your hardwood floor between coatings or sandings. Be sure to use a natural underlayment (as opposed to synthetic rubber backings) if using one. Natural latex and natural rubber underlayments are best as they will not react with the polyurethane. 4) Do NOT wet mop the floor, ever! Even those long-stick squeeze mops just don't wring out the mop head thoroughly enough, and even small amounts of water can cause your floor to swell and cup over time. 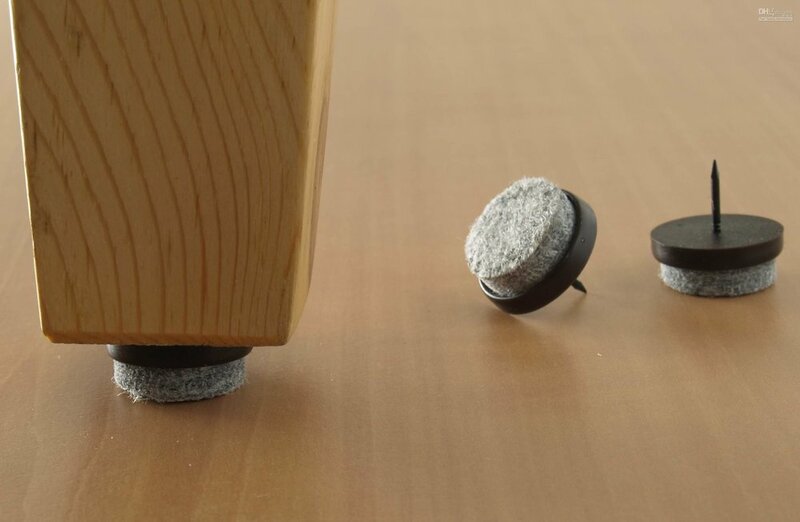 5) Put felt floor protectors on the bottom of all furniture, as well as on anything else that may rub on the hardwood floor (baby exersaucers, etc.). 6) Keep pet nails trimmed. Be aware that dogs running through the house will most likely scratch any finish. 7) One of the most frequently asked questions we get from our customers is, “What products should I use to clean our hardwood floors?” It’s a great question to ask because there seems to be a lot of confusion out there! 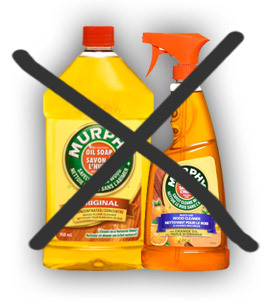 Do NOT clean your floors with Murphy’s Oil Soap, Mop and Glo, Orange Glo, Swiffer Wet Mop, furniture polish such as Pledge, vinegar, ammonia, or any pine cleaners! All of these cleaners, over time, will dull and damage the finish. And if they leave a residue, you will find that this residue is nearly impossible to get OFF of your floor! We are doing a re-sand right now in Fort Salonga, and much to our chagrin as we were setting up, spotted a bottle of Murphy’s Oil in the garage. It took us 50 sheets (!) of 36-grit belt sandpaper for our Galaxy2000 sander to get down to the bare wood, which added an entire day to the project as well as added hotel/furniture storage costs for the homeowner. This product in particular will eat right through your polyurethane finish, leaving your wood exposed to damage from spills, scratches, and stains. It also will prevent you from doing any sort of maintenance re-coat of polyurethane on your floor, which means that you will have to commit to a full sanding when parts of the floor start to look dull or scratched. Furthermore, most warranties from finish manufacturers and prefinished wood flooring manufacturers are voided with the use of an oil soap cleaner!What do we recommend for cleaning products? Bona Professional Hardwood Floor Cleaning Kits are great and are made for polyurethane-coated hardwood floors. The chemicals will not damage the finish and do not leave a residue. You can find Bona Professional Hardwood Floor cleaner online or at a local flooring store. Note that Home Depot, Bed Bath & Beyond, Lowe’s, etc. 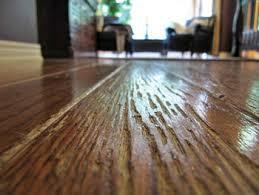 do not carry the Professional line, which we feel is superior to the regular Bona hardwood floor cleaner. Find the Pro kits on Amazon (18" Hardwood Floor Care System and 15" Hardwood Floor Care System), which have everything you need to get started. If your floors are finished with Woca oil or Rubio Monocoat, both of those manufacturers make their own cleaners, which should be used as directed. Follow these 7 tips and you will prolong the life of your hardwood floors, keeping them beautiful for years to come!